One of my favorite discoveries from the last year was Documentary Now!, a wonderfully endearing mix of parody and love letter to the modern documentary genre. Originally created for the IFC channel — I first ran across it on Netflix, where you can still check out the first season — the series, created by Saturday Night Live alums Bill Hader, Fred Armisen, and Seth Meyers tackles a different well-known documentary each episode, recreating the original as seen through their own fractured lens. Presented in perfect PBS deadpan (with Helen Mirren serving as the “host” of the series who introduces each of the films), it is the kind of project that only people who truly love these documentaries — films like Grey Gardens, The Thin Blue Line, and Jiro Dreams of Sushi are some of those given the treatment — could do so well; the feeling is not at all mocking, but more like enthusiastic kids putting on a very, very, good play for the family that they love so much. 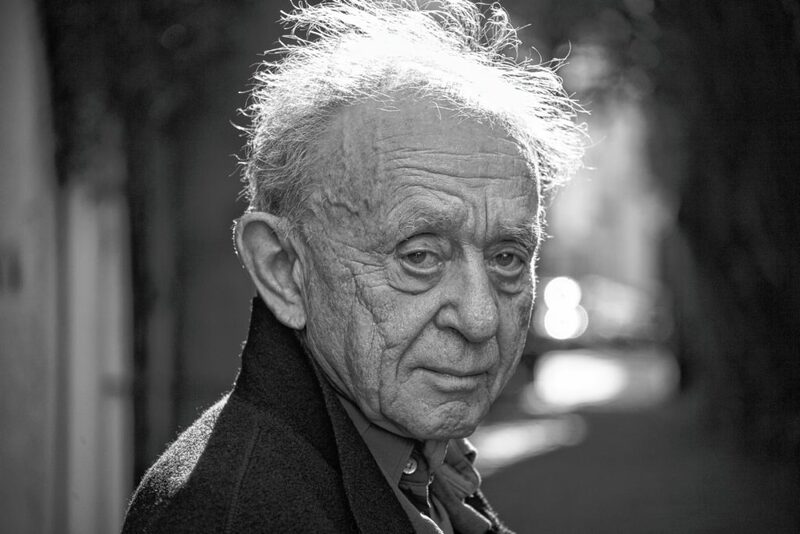 The kinds of films so warmly sent up here would not be possible, I think, without the work of Frederick Wiseman, a prolific, Academy Award-winning filmmaker whose wide ranging body of work has helped paint an ongoing American portrait for the last half-century. His titles alone give a sense of the work: High School; Hospital; Racetrack; Missile; each, like so many of his films, presents itself unadorned, a description so purposely bland that it demands we leave our preconceptions behind. And what rewards when we do: remarkably observant films, keenly edited, that always show rather than tell. While much of what we have come to think of as essential parts of the documentary form are missing from Wiseman’s work — endless interviews, voiceover narration, Michael Moore — his influence is happily inescapable. This Saturday at Amherst Cinema, Valley filmgoers have the chance to see Titicut Follies, Wiseman’s earliest work, on its 50th anniversary, with the director himself dropping in to talk about the film. Released in 1967, the film, which shined a harsh light on the conditions at a Massachusetts, prison for the criminally insane, was quickly caught up in a legal battle that resulted in a long-term ban; though the state claimed the film was a violation of inmate privacy, the consensus is that a much bigger concern was that Wiseman was revealing to the public just how horrid the conditions and treatment was at Bridgewater. The film was mostly unavailable until the 1990s. Today, Titicut Follies (it takes its name from the revue show put on by the inmates) remains an unforgettable, galvanizing film, with scenes of inmates being force-fed, stripped, and bullied by guards who seem unfit to deal with the mental states of the people they spend their days watching. Presented here in collaboration with the Massachusetts International Festival of the Arts, the screening will be paired with a discussion featuring Wiseman, Justin West of the Electronic Media Arts program at Holyoke Community College, and Dr. Wini Wood, professor and co-director of the Cinema and Media Studies Program at Wellesley College, among others. If you have any interest in documentary films from the last 50 years — or if you just like Documentary Now! and aren’t sure why — do not miss out on this one. Also this week: Up in Pittsfield, the Berkshire Museum’s Little Cinema is putting on a special one-night screening of another documentary this Saturday at 7 p.m. This one is The Messenger, director Su Rynard’s film about the unexpectedly deep-running connections between humans and birds, and the growing notion that the fate of songbirds could mean more about our own future than we realize. Presented in cooperation with Mass Audubon’s Berkshire Wildlife Sanctuaries, along with Hoffmann Bird Club, and Wild Birds Country Store, the film will be followed by a discussion led by Hugh Powell, senior science editor at the Cornell Lab of Ornithology. Contact Jack Brown at cinemadope@gmail.com.